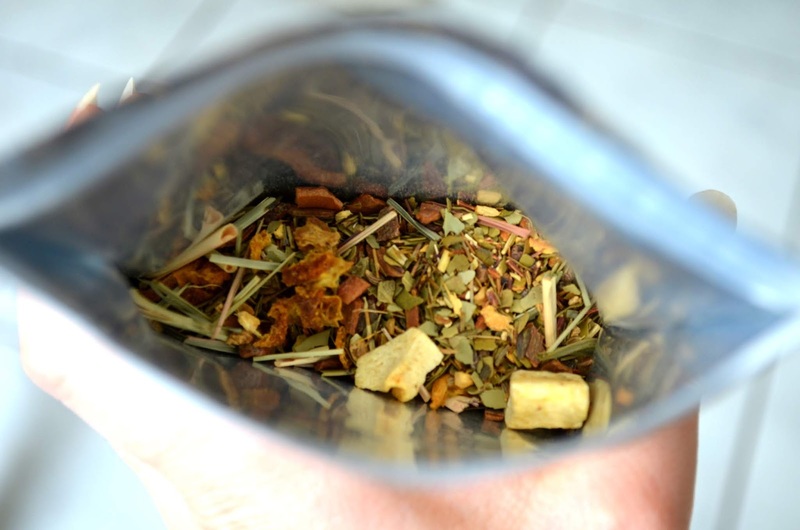 Curiouser and Curiouser...: Why you can't beat a good ol' cup of tea and some interesting new flavours of tea you really need to try! Why you can't beat a good ol' cup of tea and some interesting new flavours of tea you really need to try! Tea makes everything better. I'm not sure how, but it just does. 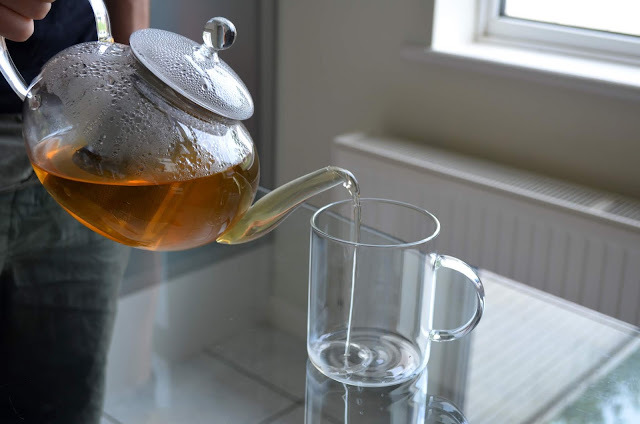 You can have the busiest of days and you get back and that first sip of tea is like the first sip of water after being stuck out in the desert for a few days (or so I imagine). That first sip of tea you drink with a sense of urgency and the relief that washes over you is like a tonic to the soul. Whilst I don't drink tea in the traditional and proper British sense (standard tea bag and milk), I do appreciate a herbal tea. 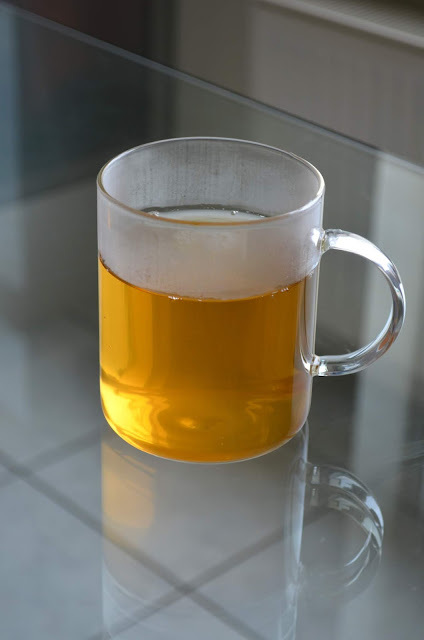 I mostly drink green tea, although lately I've branched out into chamomile, turmeric and other teas. I have an Alice in Wonderland themed tea pot which I use for tea bags, or if I'm feeling a bit fancy, I use loose leaf tea and my glass teapot. 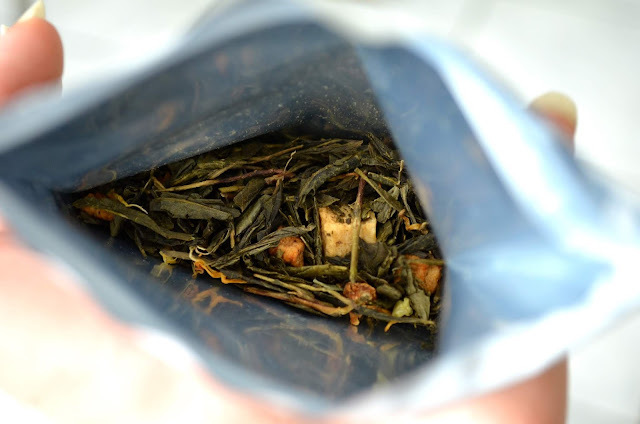 I drink a lot of green tea and I do find there is a smokier, greater depth of flavour when I use loose leaf tea instead of a tea bag. Loose leaf sounds like a faff, but in actual fact, it couldn't be any simpler. 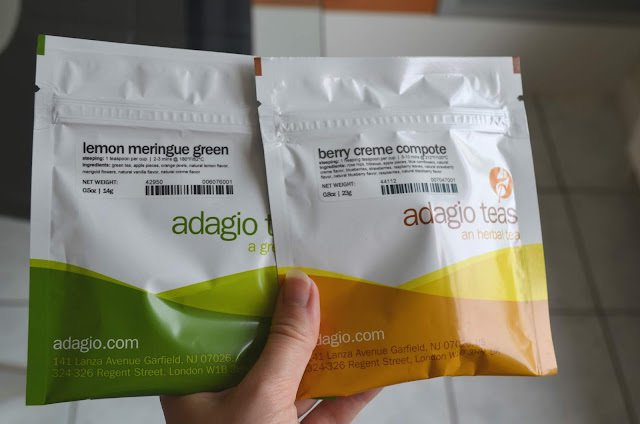 Adagio Teas very kindly sent me a selection of loose leaf teas to try which as you may have seen on my Instagram stories, came in a very generously sized box. I actually have a brand spanking new glass tea pot, glass mug and selection of teas to give away to one lucky reader - so if you want to be in with a chance of winning, read on! 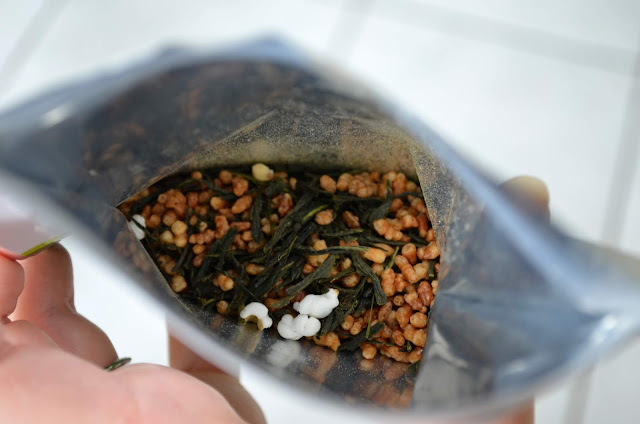 But first... some insights on a few of the teas so you can see which takes your fancy should you be the lucky winner! 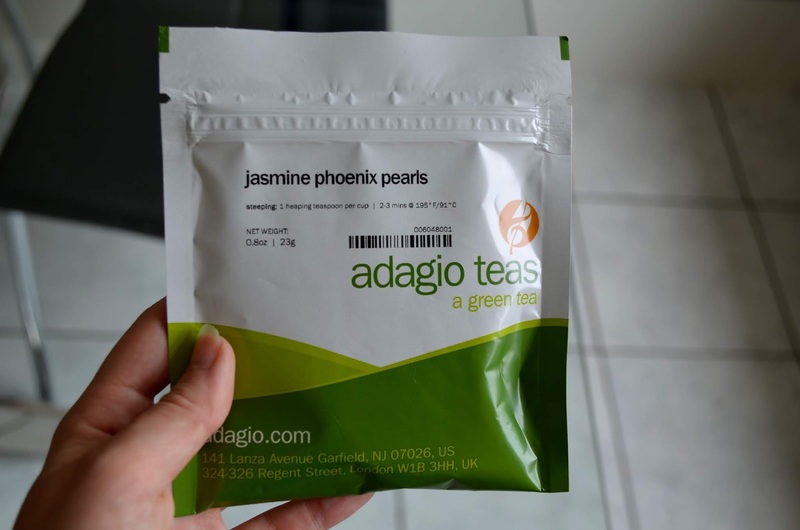 The first tea I tried was the Jasmine Phoenix Pearls from their green tea range but had one of my favourites - jasmine - incorporated. 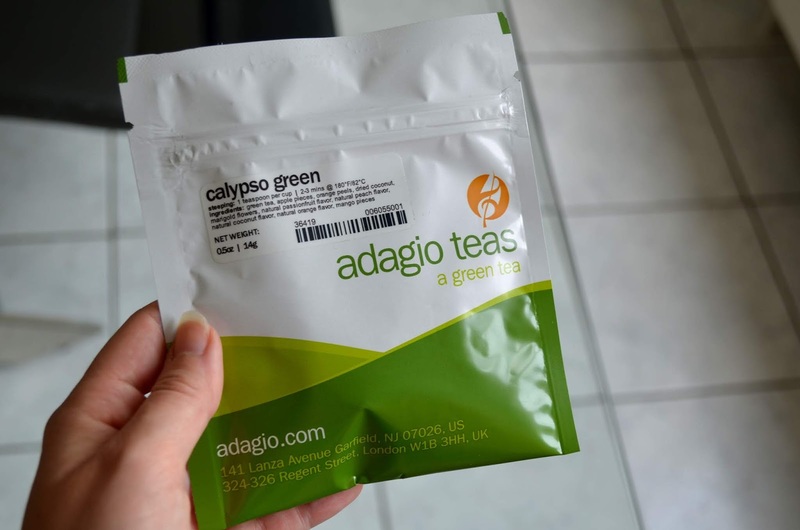 The Adagio Tea packets have a press seal which is a nice touch as it keeps everything nice and fresh until next time. 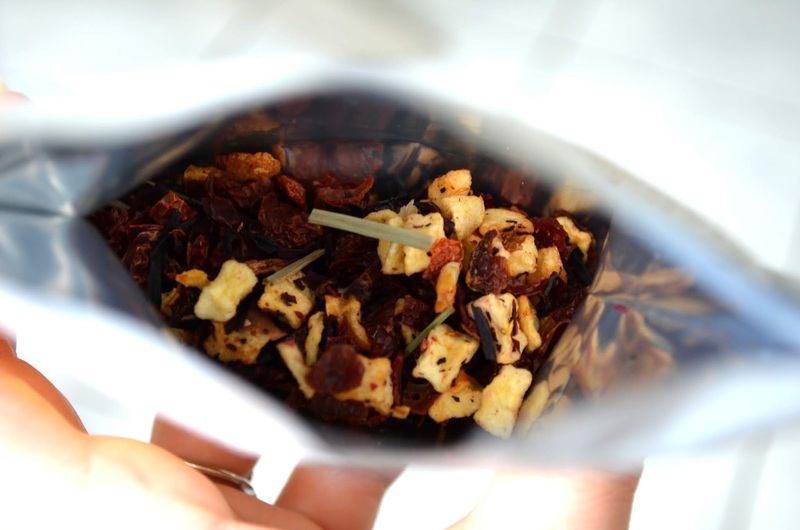 Each sachet has directions for steeping and how much of the sachet to use. 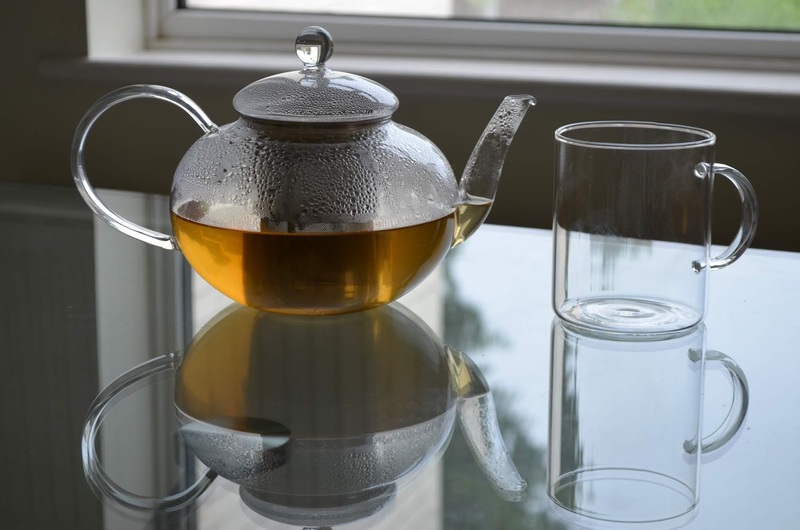 I found that this was generally 2 minutes or so for the green teas and a longer time like 8-10 minutes for some of the fruity tea varieties. I opened up the sachet to find not traditional tea leaves, but these dried pellets. Which even a certain little lady was intrigued by. My tea set came with paper filters but for larger 'pearls' like these, it was pretty safe to use just the main metal filter that came with the teapot. Once added, I filled with jasmine phoenix pearls (the sachet suggested I use 1 heaped teaspoon per cup and 2-3 mins steeping time). The first thing that hit me was the smell. This was beautifully floral, and almost smoky at times. Due to the filter, this poured out without sediment and was a light amber sort of colour, like apple juice. This didn't taste like green tea as you know it (the jasmine flavour was stronger and was what I could mainly taste), but it was instantly relaxing. This has been perfect coming home to after work. And I always bring this one out on a dark and murky day. Case in point of how dark and murky it's been lately. Calypso Green was another one from the green tea range, but was green tea with a difference! This was pretty tropical smelling right from the get go and contained big pieces of dried fruit mixed in with the loose leaf green tea. This was fruity tasting (as you'd expect) but subtly done, so it wasn't too strong. It made a nice change to a bog standard green tea. This one was very sweet smelling with a strong scent of cherries. If I had to pin it down, I'd say it smelt like gummy sweets and cherry chapstick (so quite an unusual smelling tea!) 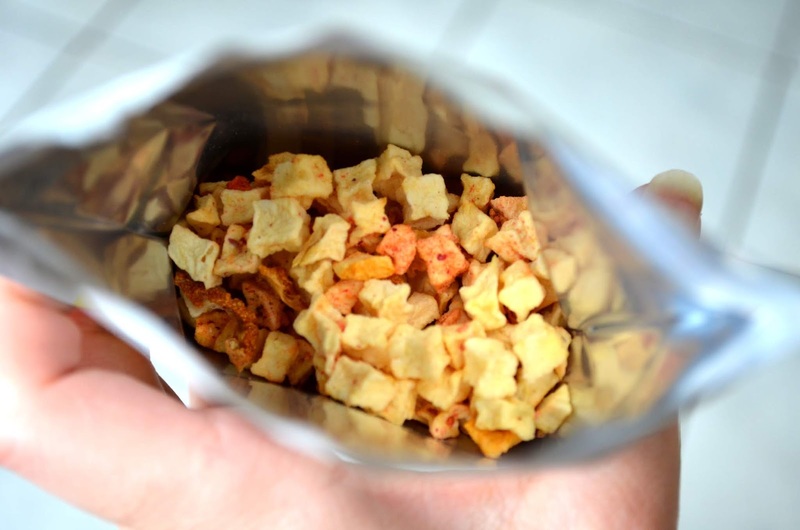 The mix however contained lots of fruit pieces and it was nice having these in there as opposed to being full of artificial flavourings. This Fruit Medley tea from the herbal teas range poured out as a darker liquid, and luckily didn't taste like cherry chapstick! In fact I could taste more fruits than just cherry (a bonus). The tea itself wasn't too strong and I happily discovered it didn't taste as sweet as it smelt. Another tea from the herbal teas range. This tea caught my attention right from the offset with its interesting ingredients like almonds, cinnamon bark and aniseed. I assumed this was called Samurai Mate because when you first smell it, you are like MATE because the smell is quite strong (heavily of almonds / marzipan). I don't like marzipan so I was initially a little nervous about this one. Fortunately the almond taste wasn't strong once steeped and I was relived to discover it didn't taste like marzipan. I could really taste the cinnamon part of the mix (which was the part I wanted to taste) and it was a lovely warming drink for a cold and rainy day. And you know what? It tasted exactly how it smelt and had a great depth of flavour. This one I could really imagine having with a meal - like my favourite sesame salmon dish. If you like green tea, then you need to give this one a try! It was incredible how much this green tea smelt like lemon meringue - it actually smelt like a dessert! Once brewed / steeped, the citrus flavour was subtle. 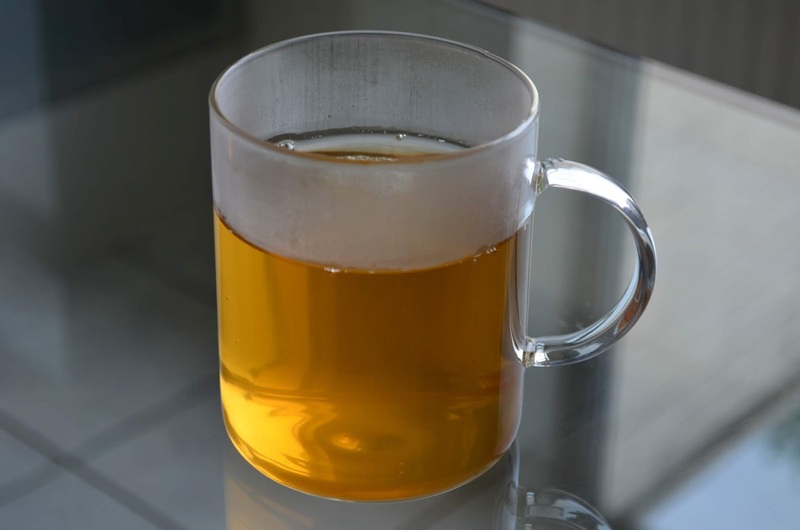 I'd personally prefer for the lemon flavour to be a little stronger - but if you love lemon based desserts / meringue, then you'll like this lemon meringue tea! 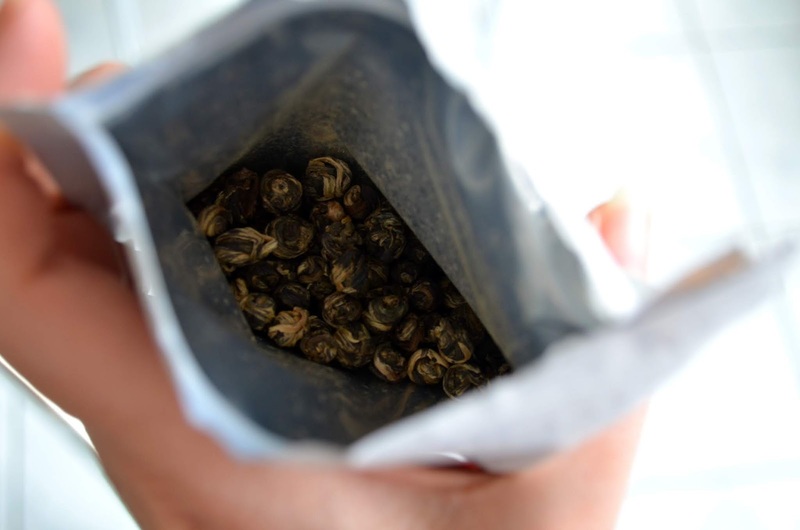 I couldn't smell the pineapple initially, but this flavour developed when the tea had had some time to steep. The longer I left the tea, the stronger the fruit flavour became. This tea gave me incredible wanderlust and rather than being stuck inside on a wet day, I felt like I was in sunny paradise. I didn't smell a whole lot of citrus in the Citrus Mint Green tea initially, but I did smell the mint (peppermint). The mix was quite straw-like in appearance which I assumed were the green tea leaves (but later I learnt this was lemon grass). After 2-3 minutes of steeping, I could taste citrus in the tea which I was really happy about, however this was quite subtle and I would have liked a stronger lemon flavour. 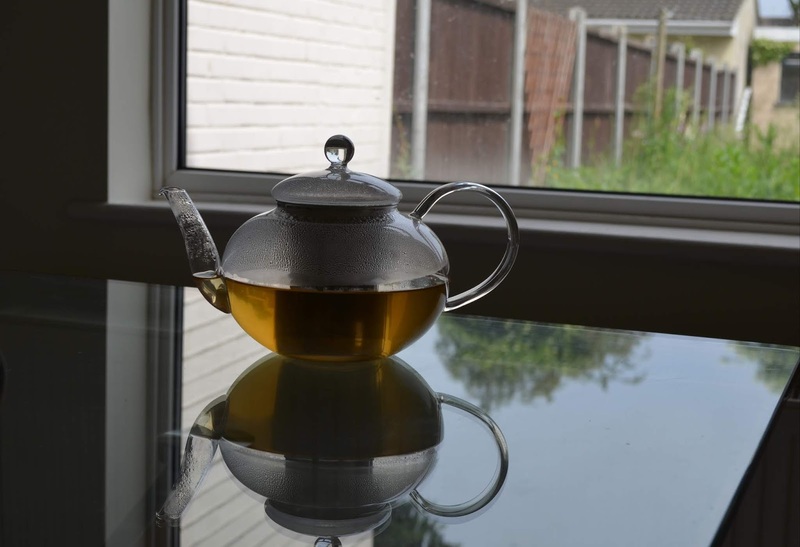 Mint is one of my least favourite types of herbal tea, but because this had the citrus element, it was ideal for me. 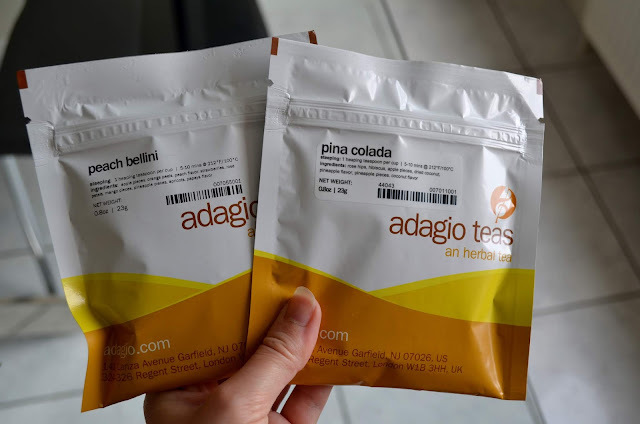 This peach bellini tea from Adagio's herbal tea range had a recommended 8-10 minutes steeping time and this was one of the best smelling teas I tried (besides the Genmai Cha of course!). 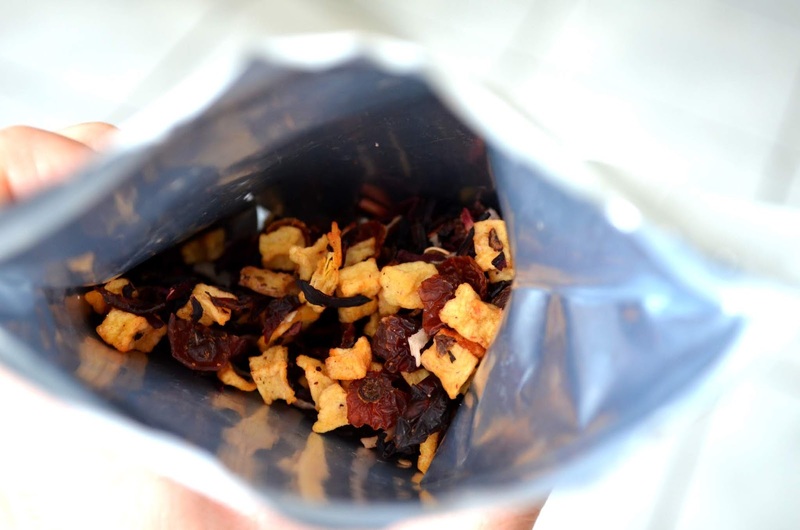 The sachet contained apple pieces, strawberries, rose petals, mango pieces, pineapple pieces and apricots amongst other things. This tea poured out fairly clear and reminded me of the peach sirop I used to buy from the supermarche when I used to live in France. Admittedly the Peach Belllini tea doesn't taste as strong as it smells, but that's ok, as I don't like anything too sweet in the evenings before I go to bed. 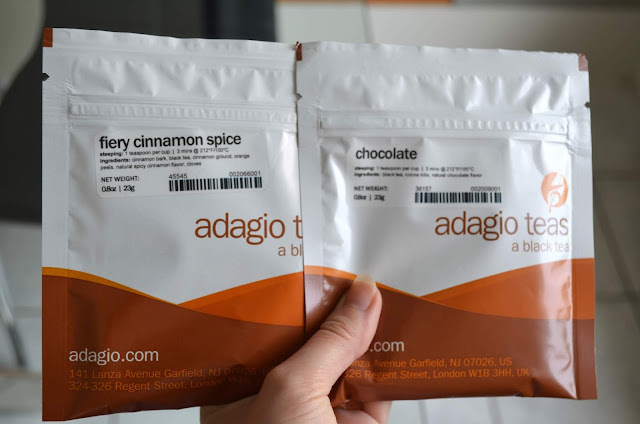 There are plenty more teas in the Adagio Tea range (see the full range here) which I'm still working my way through - but hopefully the above gives you a little taster of some interesting and alternative teas! 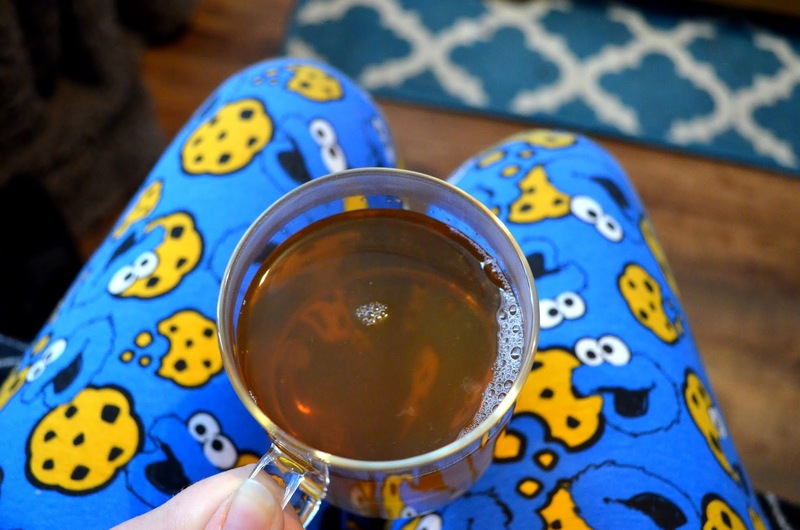 My evening routine lately has consisted of coming home, changing into my new Cookie Monster PJs (because I'm quite partial to a cookie. Or five), binge watching Stranger Things (have you tried it yet? I'm addicted!) and finishing up the evening by sampling a new tea. Not all of the teas are caffeinated (go check out their herbal tea range here), but fun fact: they are vegan and gluten free (any additional flavourings come from essential oils and the traditional teas use pure leaves). I'll tell you what though: I have been really impressed by how lightweight the tea pot and mug are, as being glass, I imagined these would be heavier. 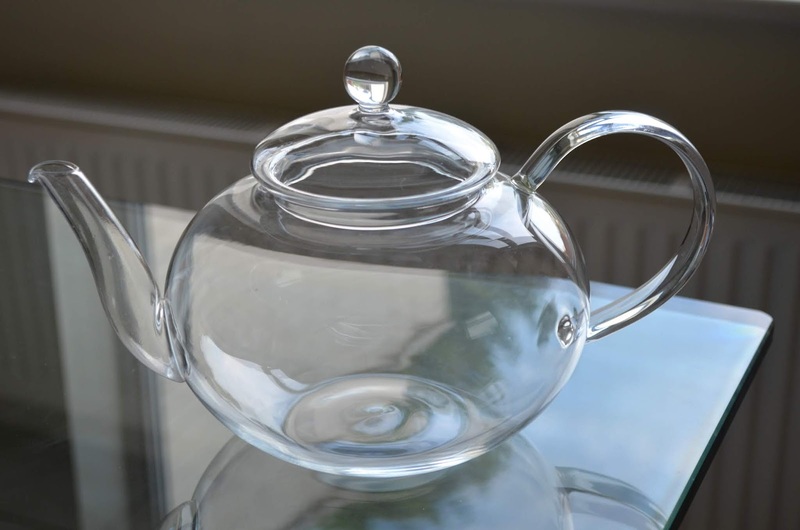 The tea pot lid can get a little hot, so if you have a glass tea set, do take care when pouring your tea! 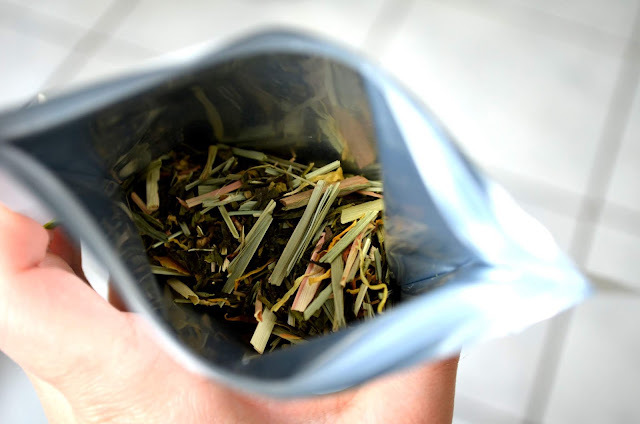 I try a new tea every evening and what I love most is the element of surprise you get when you open a new sachet. Rather than just a green pile of tea leaves, it's usually an assortment of bright colours and different shapes, sizes and textures. It's also intriguing to see what kind of colour it produces and of course, the aroma. I'm not usually a black tea drinker, but I'm looking forward to giving these amazing sounding teas a go! Does the chocolate tea actually taste like chocolate? Watch this space! Adagio Teas have very kindly offered one of my readers a glass tea pot, glass mug and selection of teas of your choosing. To enter, keep an eye out on my Twitter and my Instagram where I will be posting about the giveaway very shortly. Until then, start thinking about what teas you'd like if you won (you can view Adagio's full range of teas here). Which tea do you most like the sound of? I'd love to know! * Tea set and teas very kindly provided by Adagio Teas for review purposes, but as ever, all opinions are my own. I also have another set for one lucky reader (further details to follow!). What sets Adagio apart from the rest is that their hand-picked teas are sourced from origin, and they work directly with the farmers who produce them in their native countries. 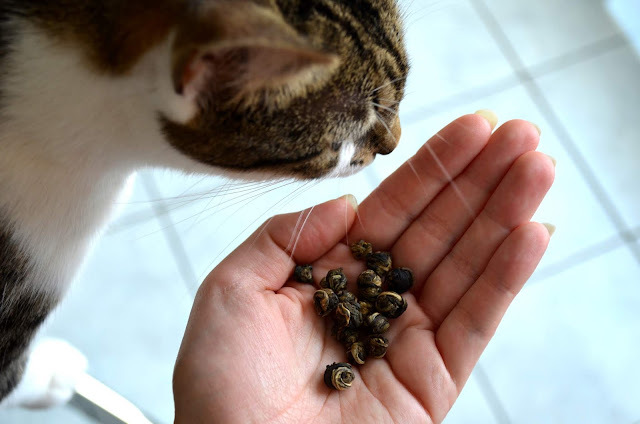 Coming straight from the source means that they are brimming with far more nutrients, they are full leaf (unlike the stuff you see in supermarket teabags!) with no added sugar and all-natural flavours.